HANOVER, N.H. – April 6, 2018 – Books that imagine futures far and near, nudged or driven by science but still bound by the human experience, have been named to the shortlist for the inaugural Neukom Institute Literary Arts Awards. Yes! I want to be kept apprised of contest developments. 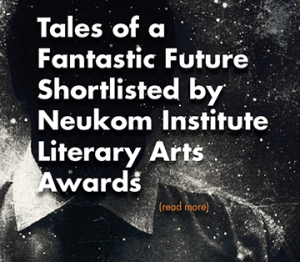 Add me to the Neukom Institute Literary Arts Awards Newsletter list! We will use your information judiciously and only to keep you apprised of any important news about the awards. We will not share this list with anyone. By clicking “Subscribe”, you will be added to our list. Thank you for your interest.